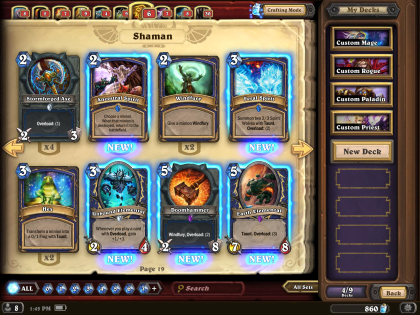 The award-winning card game Hearthstone is free and can be downloaded here. 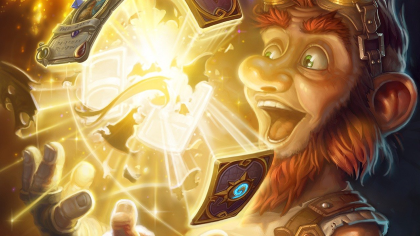 Hearthstone is the most popular card game for the time being, and for good reasons. The game was developed by Blizzard Entertainment, who has the reputation of always delivering outstanding and addicted computer games. Hearthstone is no exception. Just like any other Blizzard game, it's constantly updated and added new playing cards. At the same time, they try to balance it as far as possible. It is also designed for almost every conceivable operating system. Windows, Mac, Android, Tablet, iOS can drag the game. Hearthstone throws you directly into the heat of battle. But not without giving you a guide and all the help you are looking for along the way. After struggling through the instructions, you automatically lock up a number of basic cards. You use these cards to build and improve your own personal deck deck. That way, you can always try new strategies. The game is free to play, but you can choose to buy new cards with money. However, you also have the opportunity to play for these cards without having to spend any money. Windows version is downloaded here on the page. Before the game starts, you make a cover card, but you can choose which cards you wish to use, but at most two of the same kind. This deck is what you bring on the board where you have to fight against an opponent who has his own deck. Once you have found his opponent, you are thrown into the game, which plays out on a board. It is on the board that one and the opponents are switched between drawing short. You start with 3-4 cards and get a random new card from your card deck after each round. You have 30 lives each and it is different how many lives a card can take, in other words, it depends on the specific card. In order to win, you must reduce the opponent's life from 30 to 0. The problem is that the opponent can throw short on the board that protects him - or can attack. Therefore, you often need to clear boards before you go directly to attack. Hearthstone has been released March 11, 2014, and has since had amazing success. The game came as a surprise to many players, as this game was not something that Blizzard Entertainment had previously messed up with. 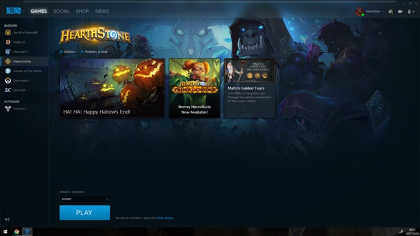 A continuous feature of Blizzard Entertainment is quality, and Hearthstone was no exception. 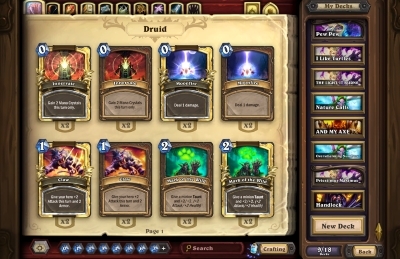 Hearthstone is incredibly well-developed, and although the gaming principle is really simple, there is ample opportunity for strategy development - even after hours of game hours. In addition, Hearthstone is often updated and these updates adjust and tweak the game balance. So if you've found a game strategy that has given a lot of victory, it can always change.
" We publish games that we would like to play"
As the first game in the Warcraft series, Warcraft: Orcs & Humans, Blizzard Entertainment began to become extremely popular. One could clearly notice a great passion in the game, and the story was interesting and catchy. It also turned out that the Warcraft series was what would put Blizzard Entertainment on the top spot of successful game developers. The Warcraft series was originally developed as RTS (real time strategy) games, but since then the series has been developed for A Massive Multiplayer Online Roleplaying Game (MMORPG), the world-renowned World of Warcraft. Similarly, Hearthstone is also located in the Warcraft universe, which of course also contributesConsidered for success. No matter what newer Blizzard Entertainment game you want to play, you must log in to Battle.net. It is completely free to create a Battle.net account, and it is also possible to access Hearthstone. This account is the same as you need to download Hearthstone to your smartphone or tablet. It also means that you always have one deck of cards, regardless of which device you play. The expanded availability is an indication of optimal user-friendliness. The art department at Blizzard Entertainment is always well-deserved praise. 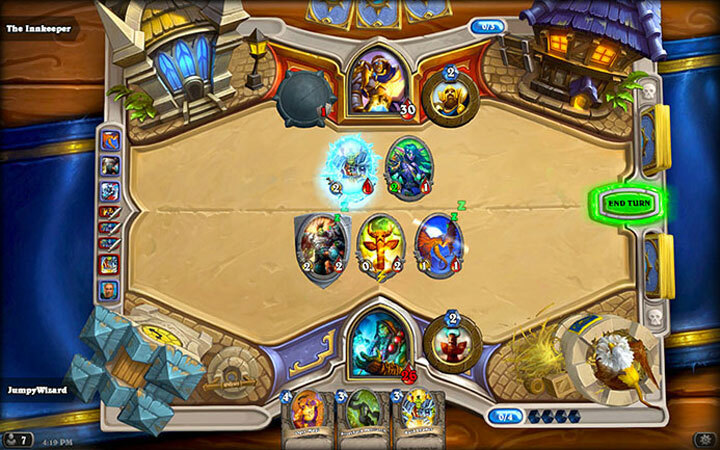 Hearthstone is superbly designed and the graphics look amazing. It's incredibly impressive how Blizzard Entertainment can play games every time, which looks great - while playing at virtually all devices and systems. As one of the only game developers in the world, you can call Blizzard Entertainment's support line for free, which is always ready to save questions. It's a reassuring feeling that you can invest hours of playtime and if you're so unlucky to lose control of your account, you'll have an excellent support line ready to help. The ease of use is also also in the top. Hearthstone is a relatively simple game, but it has many variables that make you always able to improve. The basic elements of the game, however, are learned quickly, thanks to the game guidance. 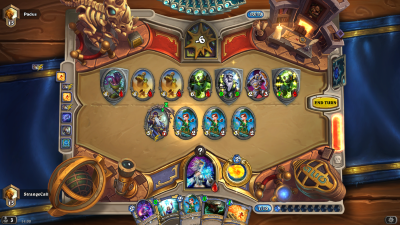 Like so many other Blizzard Entertainments games, Hearthstone is an absolute must to try. 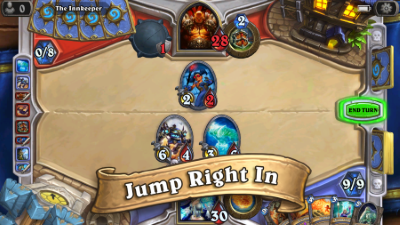 Virtually all computers can pull Hearthstone, and if not - then download it to your smartphone. The game is completely free to download and play, however, there are some microtransactions, but not some that are necessary for one's gaming experience. It's a game that you can sit and play for 12 hours a day, or jump in and out once in a while. The frequent game updates also mean that the game feels fresh again and again, and you can not get stuck in one specific strategy. 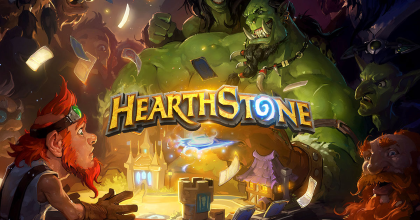 Find Hearthstone, mark it and choose "Uninstall"
Should Hearthstone has been damaged or corrupted and thereby difficult to remove we can recommend you finding help to uninstall it here.